Doug: It's been awhile since we've perused some back issues. I've been conscious about alternating months from the 1970s with months from the 1980s. Hopefully everyone can find a way to feel at home, regardless of when your own personal golden age fell. 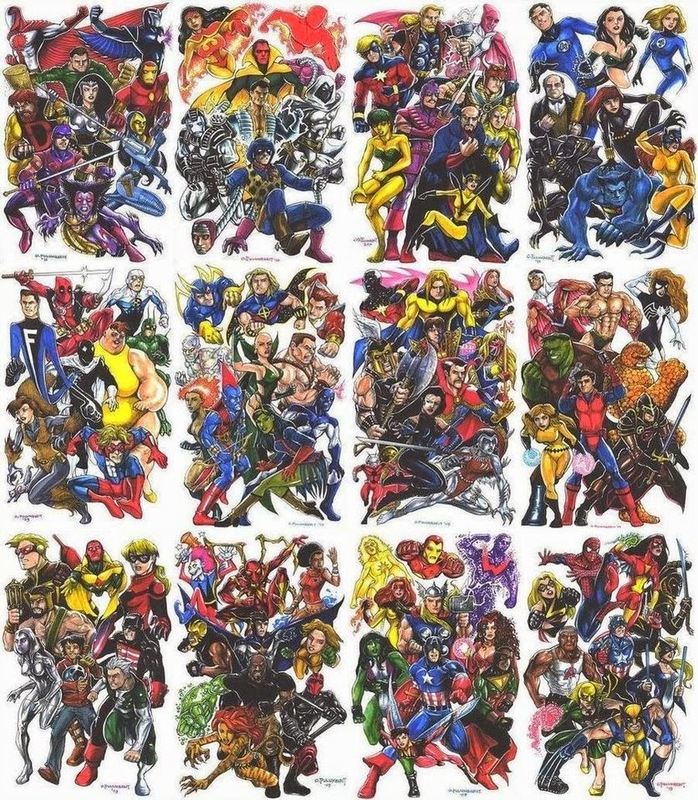 As always, the link on the date below will take you to Mike's Amazing World of Comics, where you can see all of the covers from today's query, and listed alphabetically. 1) Has the era of the comic investor all but disappeared? By that, I mean the fan who buys books intending to hold on to them and sell them later, hopefully for a profit. We already have seen that most modern era books are not increasing in value. What about Silver and Bronze books? Has the prevalence of TPBs and hardbacks made the comics themselves less desirable? 2) The San Diego Comic Con has become the premiere pop culture event. But that's just it -it's no longer a comic book convention; I would wager most of the attendees are not comics fans but fans of the related genre films and TV shows. This makes one wonder: are the comics now really just IP (intellectual property) for other media to draw upon? 3) Rozanski complains that publishers offering "exclusives" stole business from him. But could it be that he needs to rethink his business model? Does it make sense at a convention like SDCC to have a 7-booth display? I also find it both ironic and insulting that Rozanski refers to the "greed and avarice of comics fans" -you mean the same people you have been selling to for years? 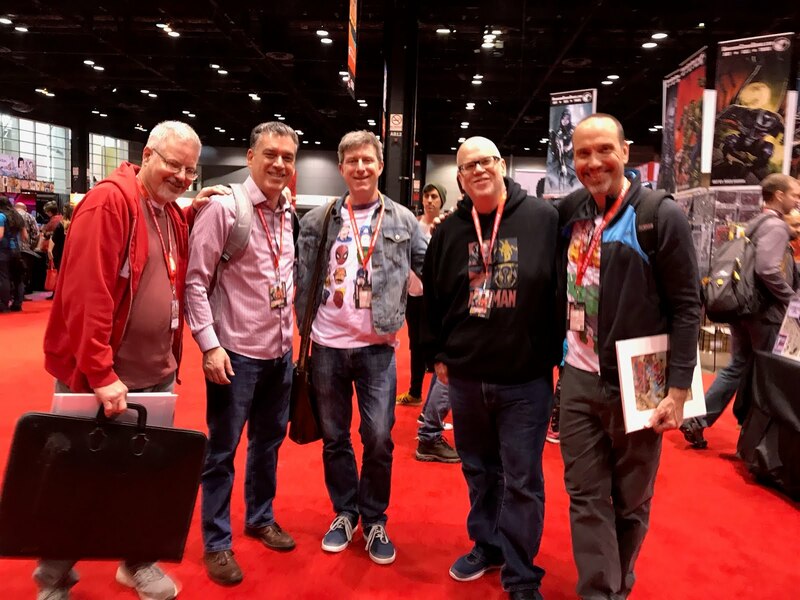 While I feel for most of the comic dealers who try to compete at SDCC, I felt that Rozanski's column was questionable at best, self-serving at worst. Doug: Karen and I came up with a sampling of burst-out comic book covers, where someone's about to end up in your lap. What do you think of this genre, and do you have other examples for us today? Doug: Some of you may be wondering about our timeline over the past two weeks. Last week's Wonder Woman review hearkened back to 1987, today's is from 1988 -- both dates past the general parameter of 1985 that we usually use on this blog. 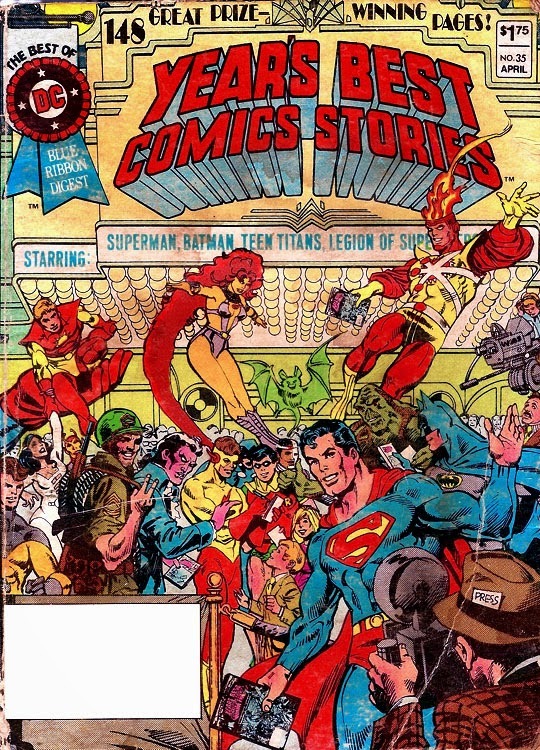 An explanation -- since the Crisis plays so heavily on the end of the Bronze Age at DC Comics (at least according to most of us here), checking in on those reboots that came after seems wholly appropriate. 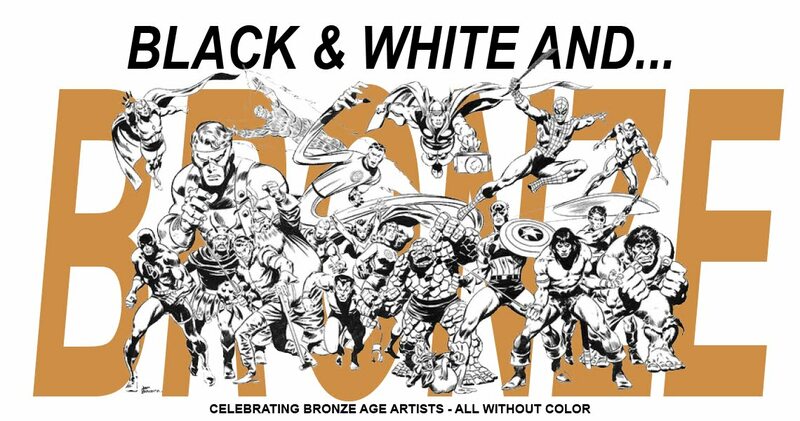 Plus George Perez is just about as Bronze an artist as you're going to find. But what of today's fare? I bought this one at the comic shop due in large part to the out-of-this-world cover. Certainly that's one of the best of its era, although I could nitpick it. Whenever I first lay eyes on it, I always think Wolverine is slashing forward; but then I look again and see that we are looking at the back of his left hand. But I forgive quickly, as I'm a sucker for covers with a reflective scene in them. Anyway, this comic had gone missing for years from my collection, and I could not for the life of me figure out where it was. I wondered if I'd loaned it to a friend, but he swore I never did. So I wasn't losing sleep over it, but was nonetheless aware that I no longer possessed it. That is, until I was grading/pricing my collection a few weeks ago and was in my X-Men longbox. Back in the day I was very organized in my storage, to the point where I'd take a larger-sized magazine bag and stuff it with mini-series. 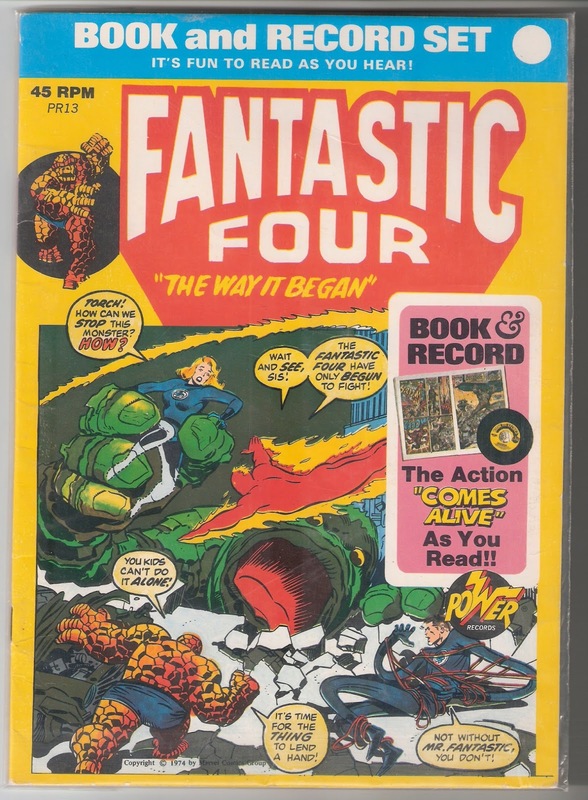 So when the "Fall of the Mutants" storyline was over, I bagged the four or five chapters individually and then slipped them all into a magazine bag. Guess what? This book was ancillary to that story. Found it!! But that still doesn't answer why it's being reviewed here today. Simple -- I want to, and I want to solicit opinions on several elements of the story as we go along. So, let's go along! Doug: On the next page, author Peter David brings those few Hulk readers who may not have been regular X-Men readers up to speed on who the players are and why they're in this magazine. 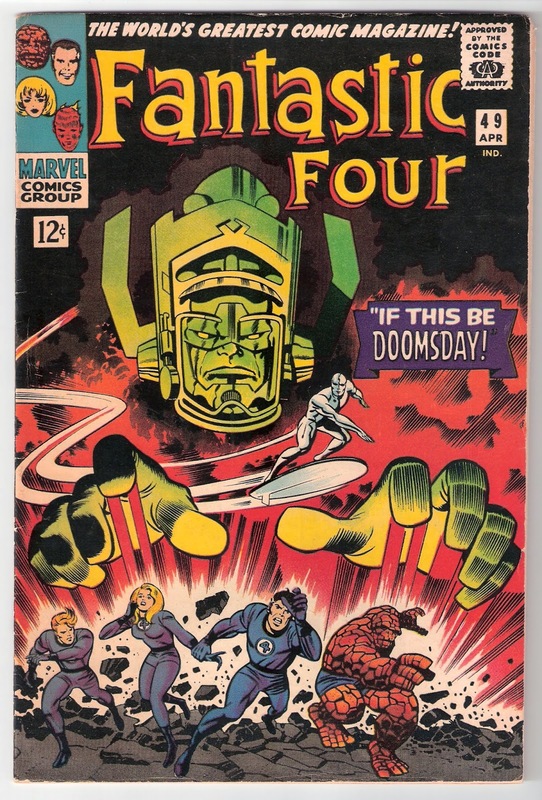 As I said above, this issue tied in (loosely) with the "Fall of the Mutants" storyline. 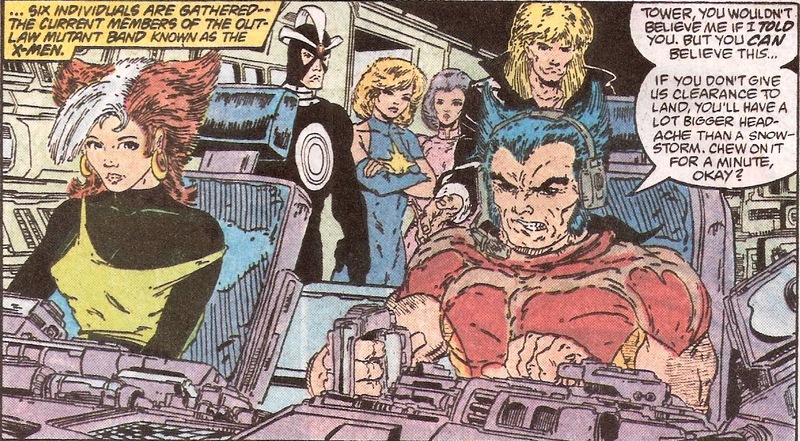 This was an interesting X-line-up, with Storm and Wolverine being the old hands and surrounded by Rogue, Havok (he'd be an old hand if he'd ever had a lengthy tenure on the team), Dazzler and Psylocke in her original "form" (pre-ninja), and recent addition Longshot. 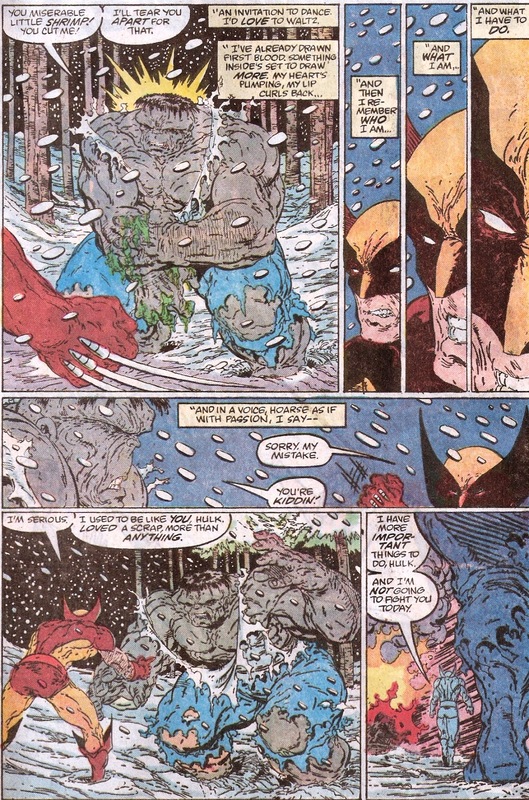 Wolverine is surprisingly under control here, and David writes him as the mature member of the group (not that any of the others are acting silly). Suddenly from a view outside the plane, we see the Hulk hurtle by, narrowly missing the Blackbird. 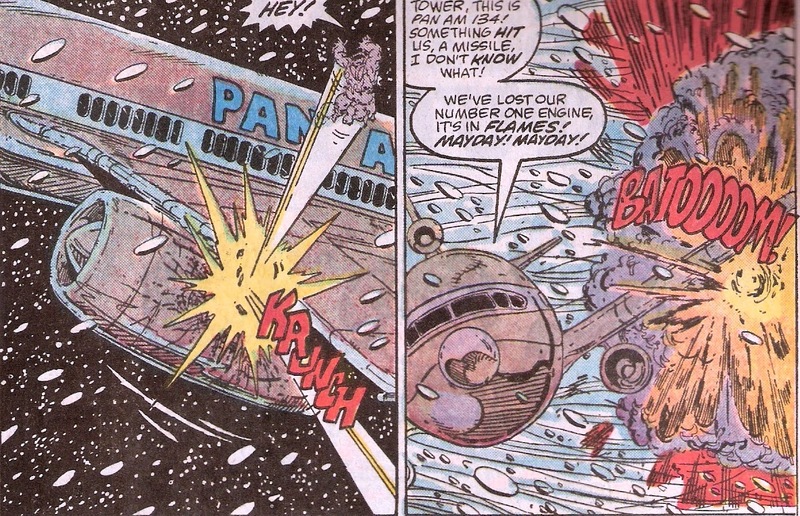 Ah, but recall the tower's concern about the X-craft being too close to the Pan Am flight in the blizzard? 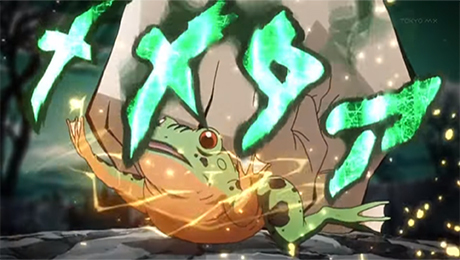 Guess what the Hulk hits as he reaches the peak of his ascent? Doug: We sceneshift again to a highway in the area where motorists have become snowbound. McFarlane focuses on a food truck. With a gaping hole in its side. The National Guard is out on patrol to assist motorists when they come upon the truck. Sensing some potential looting going on, they call into the darkness of the rupture. We know who's in there, right? Out comes the Hulk to a -- you guessed it -- hail of gunfire. The bullets rip into the truck's gas tank, causing it to blow. 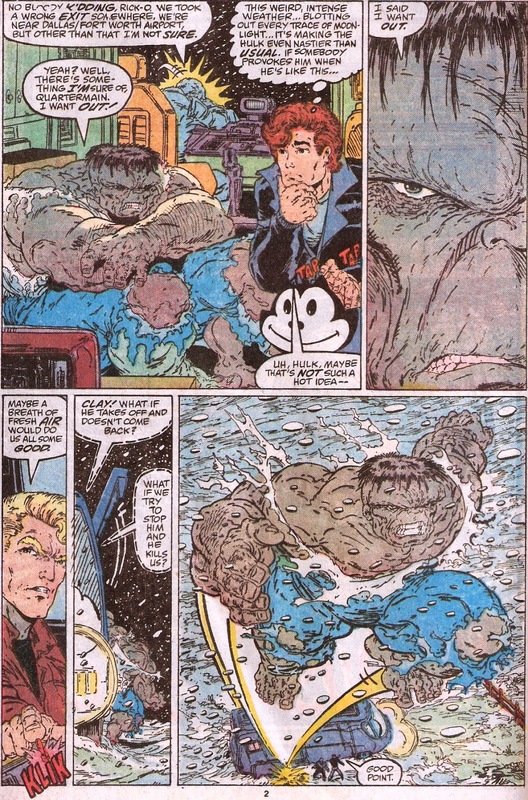 Hulk hurls it away from himself, now fully ticked off that his meal's been ruined. The truck lands a fair distance away, but near enough to an apartment complex that some folks might be in danger. That brings the X-Men to the area, and you can see where this is heading (after all, it's why I bought the book in the first place). 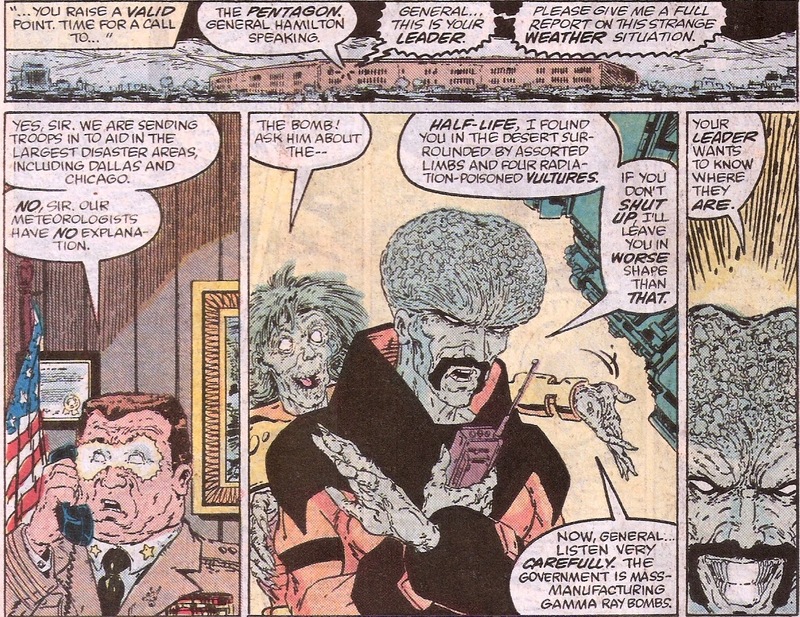 Wolverine pulls on his mask and is out to investigate and to oversee his team's relief efforts. He says aloud that he wonders what sort of jerk could have done this. Trouble is, the wind carries his words away -- to the Hulk's ears. Yup -- game on! 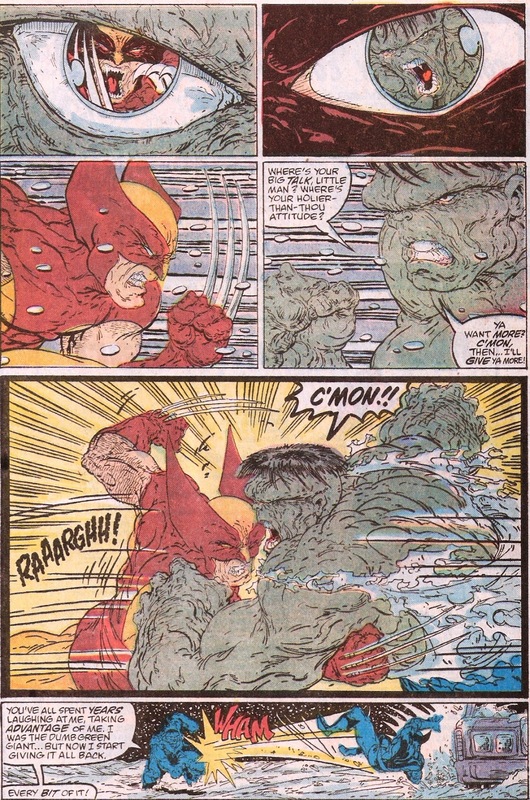 Doug: The Hulk launches himself at Wolverine, but at the last instant Logan whirls, popping his claws, and slashed the Hulk across his right arm. Hulk can't believe that Wolverine cut him -- and we remarked in our review of Hulk #181 how bloodless the art was in their battle. 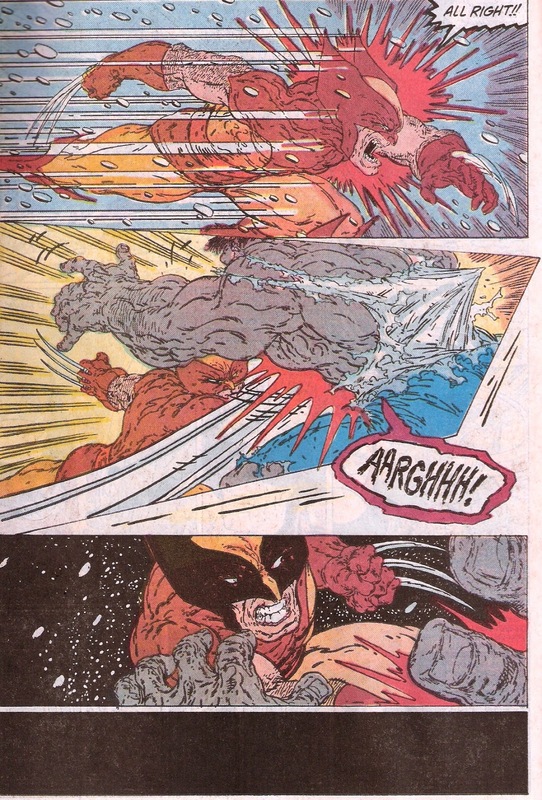 Wolverine's body tells him that it's go time, but his mind actually calms his instincts! Yep, the runt turns and walks away! Hulk is incredulous. And isn't taking no for an answer! What follows are 40 panels of sheer carnage. 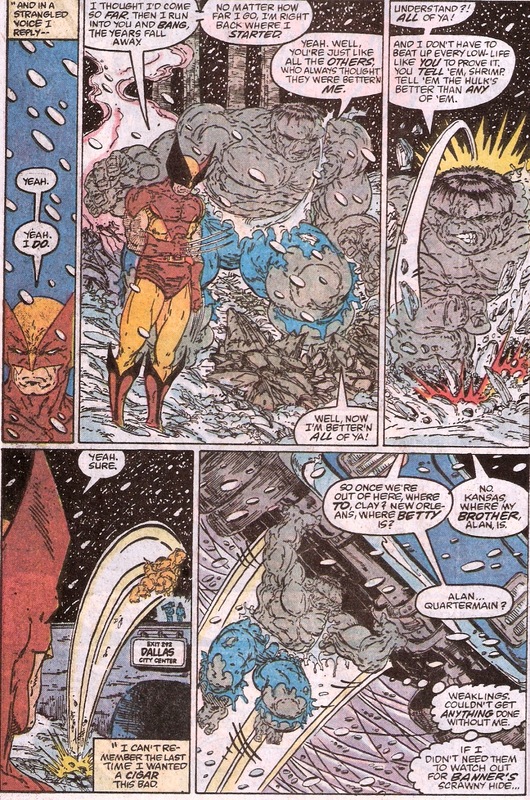 Todd McFarlane really cuts loose on these two heavyweights cutting loose. There is a brief interruption for an interlude showing Rick and Quartermain driving in their van in search of the Hulk, but for the most part the second half of this issue is what the reader paid for -- and that's to answer the question, if Wolverine really went into a berserker rage, with no Comics Code Authority to hold him back (tell me the presence of the Code stamp on this cover wasn't just for tradition's sake by this point in time), could he beat the Hulk? Well, the answer is "no"... not this Hulk. Because this Hulk not only gets stronger the angrier he gets, but he also gets bigger and has a healing factor that kicks in. And oh yeah -- this one thinks a little more clearly than the Jade Giant of decades past. 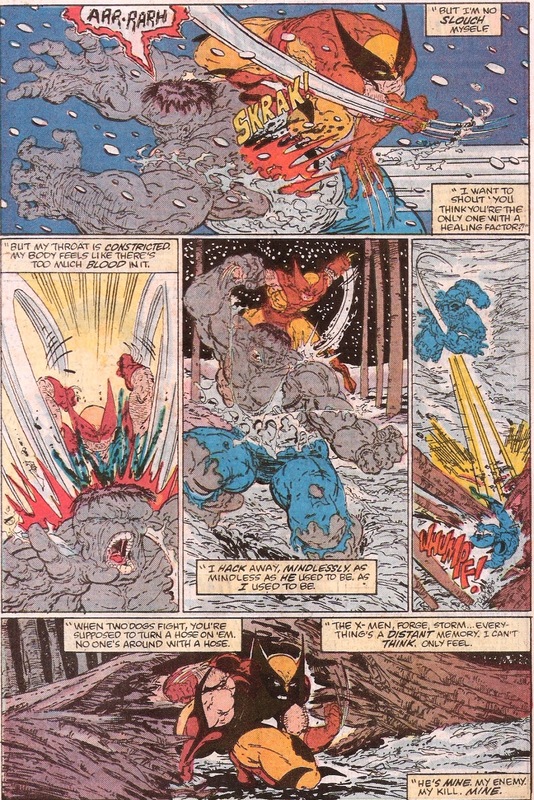 Enjoy some of McFarlane's action, and while you do, I'd invite your critique of (again) the coloring, and also of his figurework and proportionality between the two combatants. Doug: So it ends with Rick and Quartermain finally finding the Hulk in the midst of his battle royal. Quartermain uses an Image-era trademark -- the biggest gun you've ever seen -- to shock the two brawlers. He then gives a pretty ballsy (sorry for the PG-13 term) lecture to both of them, which surprisingly ends the fracas. Wolverine again walks away, and that's the last we see of him in this magazine. The Hulk bows to Quartermain's wishes and hoists the van above his head and leaps with it in his hands. Inside the van, Rick and Clay muse about Betty Ross Talbot Banner, and whether or not she still thinks about Bruce Banner. Quartermain suggests, not if she's smart. And then we see the woman whose hand we'd seen during interludes throughout the issue -- it's Betty holding a snow globe, which she hurls against a wall, smashing it to pieces. Betty thinks that she and Bruce are just two figures who continue to encounter each other, but never as closely as they should. Even after marriage, the live in a sort of cycle of close, apart, and then close again. Hence Peter David's title to this issue. 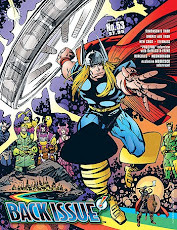 Doug: Not being a regular Hulk reader, some of the periphery stuff didn't matter to me or really even make sense. As to the main part of the story, it is what we thought it would be, huh? Although the cover date is 1988, what's between these covers is a definite precursor to what would be fully unleashed on readers in the 1990s. I suppose in 1988 that wasn't bad, but who could have seen into the future? 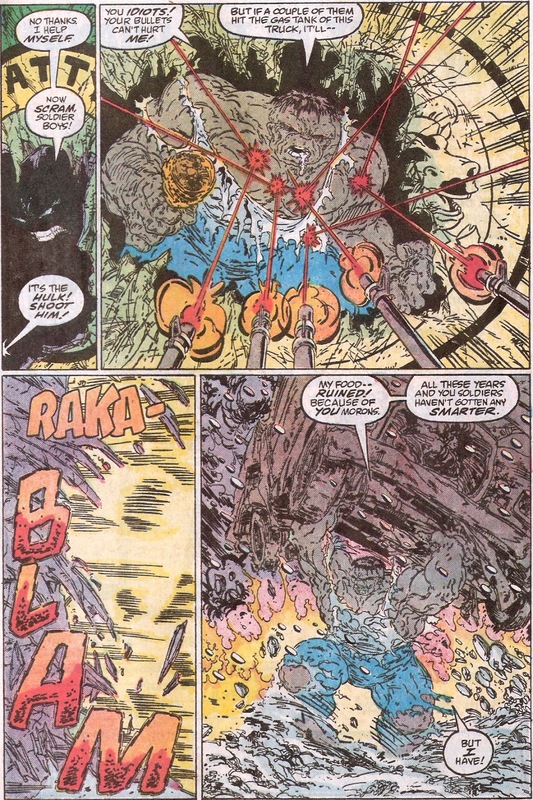 It's sort of like The Dark Knight Returns -- I loved it at the time, but that sense of awe has faded through the years as I saw what subsequent creators did in an effort to emulate or even top what Frank Miller had done in Daredevil and then with his Batman work. In closing, I suppose I'd view this as a cog in that machine that was beginning to pick up steam. And oh if it didn't then proceed like a runaway train. 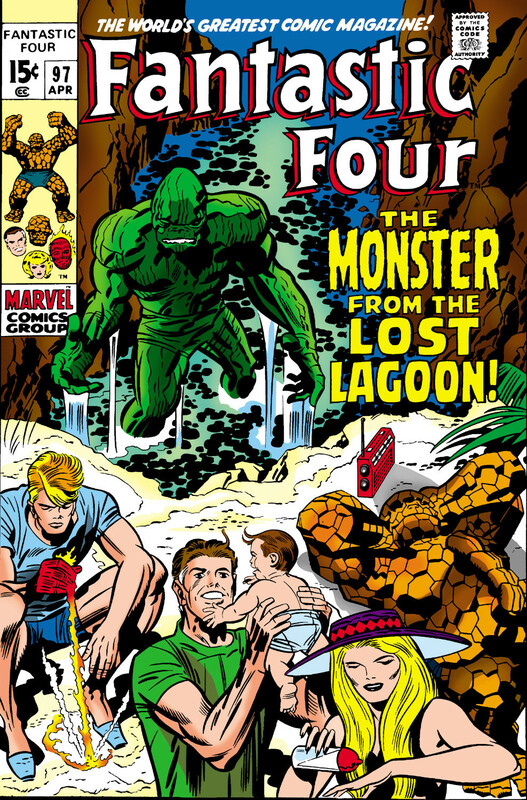 PS: One more thing -- I absolutely love the return to the blue pants on the Hulk. Seriously -- no one wears purple pants. Karen: Direct from San Diego Comic Con, our first look at Gal Gadot as Wonder Woman, from the Superman v. Batman: Dawn of Justice film. Comments?? 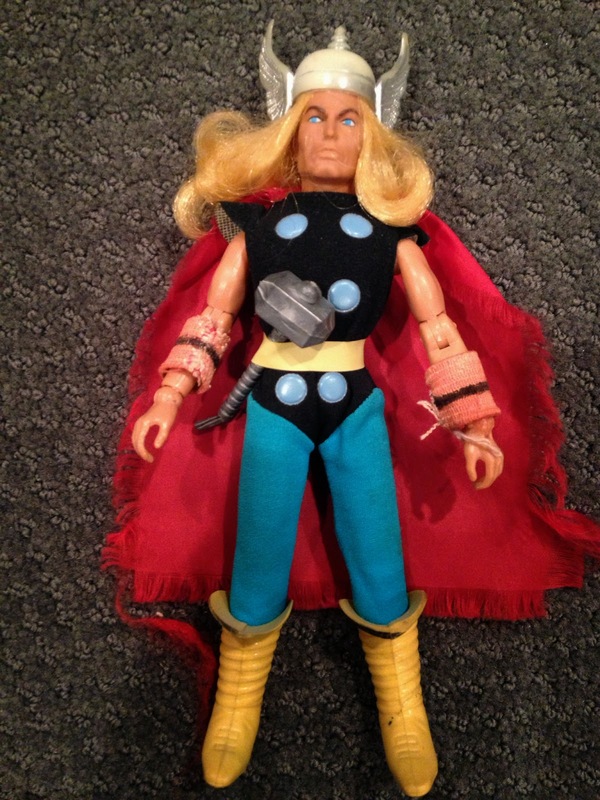 Personally, I'd like some color in the outfit, but I am a bit surprised it is as faithful to the comics version as it is -there's even a tiara. David B: I **really** think you're going to regret the sale, Doug, but I totally understand the sell desire.. I know you've brought it up before. Doug: Karen's going to join in shortly. We don't want anyone to think we're throwing ol' David under the bus, because that's certainly not the case. Don't think that he touched on a... touchy subject. But I do hope we get a lengthy discussion on collecting, buying, selling, collecting vs. possessing, reprints, etc. today. 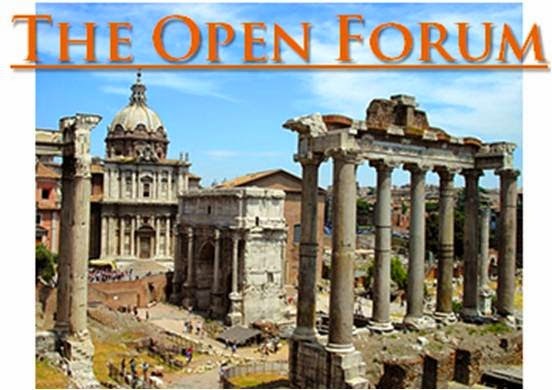 I think the lid's off a very broad topic. Doug: It's funny -- I think at some point we all think to ourselves that we'll amass a collection and some day it will appreciate in value and we'll make a pretty penny off those years of toil spent basking in the glory of the hunt. At the stage in life that we are as parents in our household, the time to sell is now. 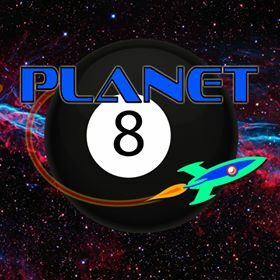 It's sort of a perfect storm that we've known is coming -- student loans debt (the parents' share), as well as a questionable vehicle being driven by the college junior, coming together late this summer. I'll be honest -- I'd much rather any proceeds from the sales of my comics go to the loan repayments, as I'd treat that as shifting money to another investment (my sons' careers). But to a used car? I hope we don't have to do that, because that's just all about depreciation. One does what must be done, in the end. Doug: I just love Karen's phrase that we've all adopted -- that this is the "golden age of reprints". 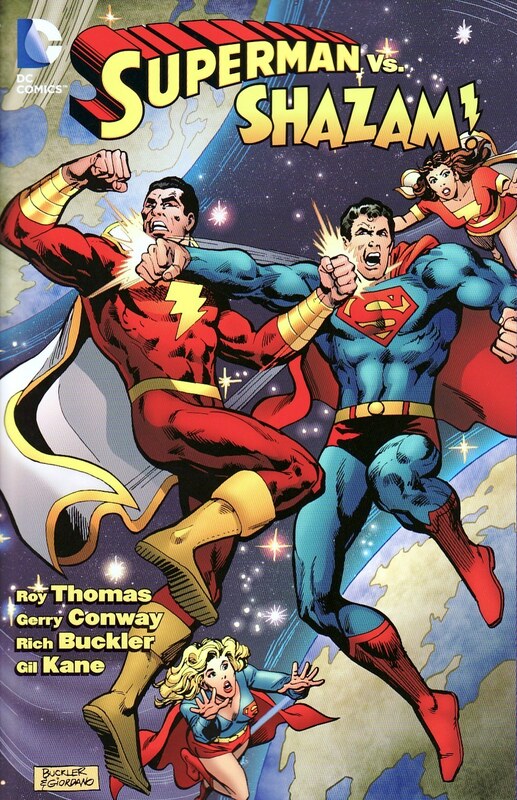 For me, once I embraced reprints it drew me away from new comics. These days, I'd much rather plunk down $15-25 for a trade paperback than put the same money into a single back issue. That's my personal preference, but it also jibes with my goals as a collector 20 years ago. 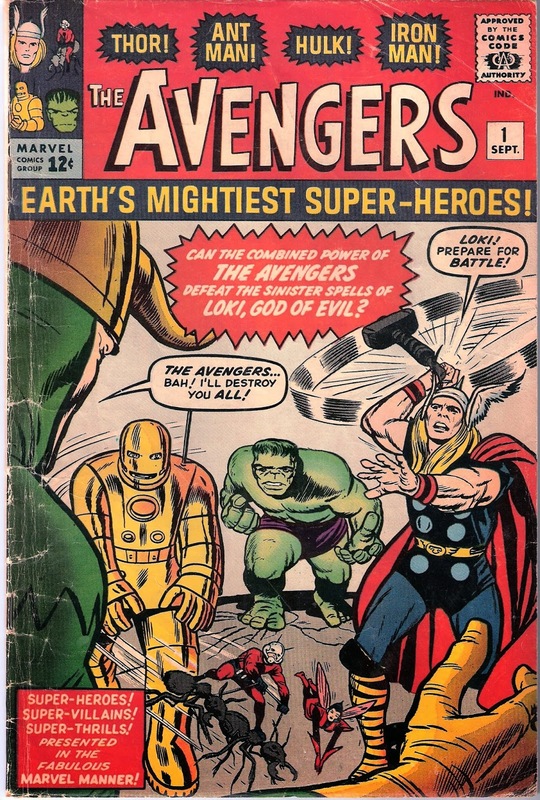 When I was amassing my complete run of the Avengers, which ended with my purchases of Avengers #s 1 (for $190 in 1991) and 4 (for $175 in 1992), it became fiscally responsible (if there is such a notion in hobbying) to go for the Very Good to Fine copies rather than the higher grades. I know many collectors want that copy that looks great in the hands. While I don't have very many copies in my run that look poorly, there are a few that I never got round to replacing. And that was OK for me. After all, it was my collection. 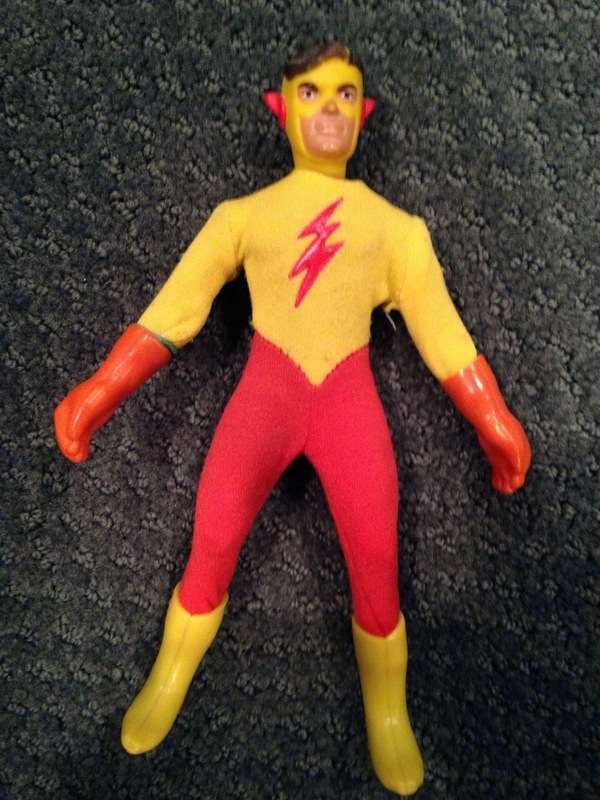 So you could say that I became more of a possessor than maybe the strictest definition of a collector. Doug: I'll admit to being pretty melancholy these past few days. But then I had to ask myself -- why? 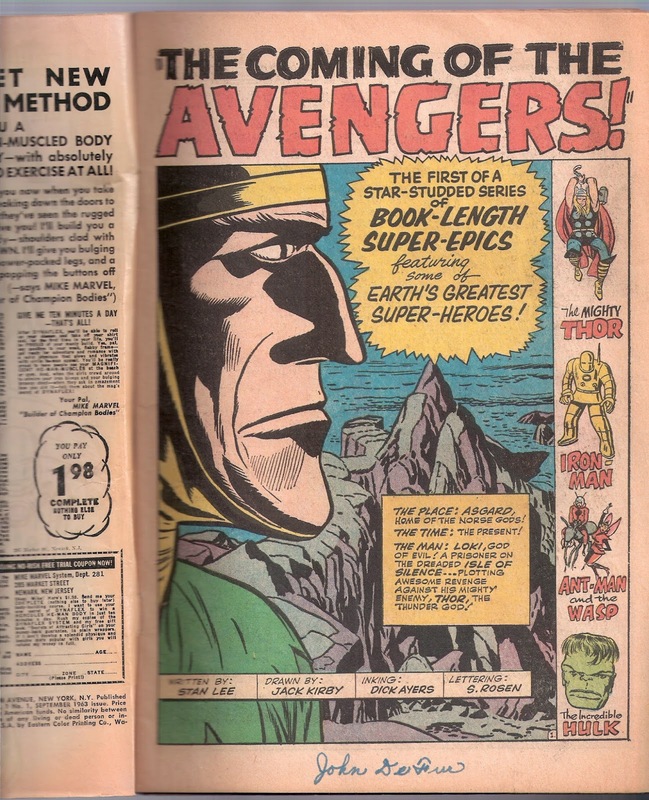 It wasn't easy opening that longbox marked "Avengers 1-225" and pulling out the first 20 issues of the title for scanning. And then I realized that I hadn't had these books out in almost twenty years, and I sure wouldn't take them out of the hard plastic bags to read them. So really -- other than the hope that they would appreciate in value I found myself again saying, "It's time." And I'll also say that it is neat as you sit over the first few days of the auction and see people tag themselves as "watching" and/or the bids start to roll in. 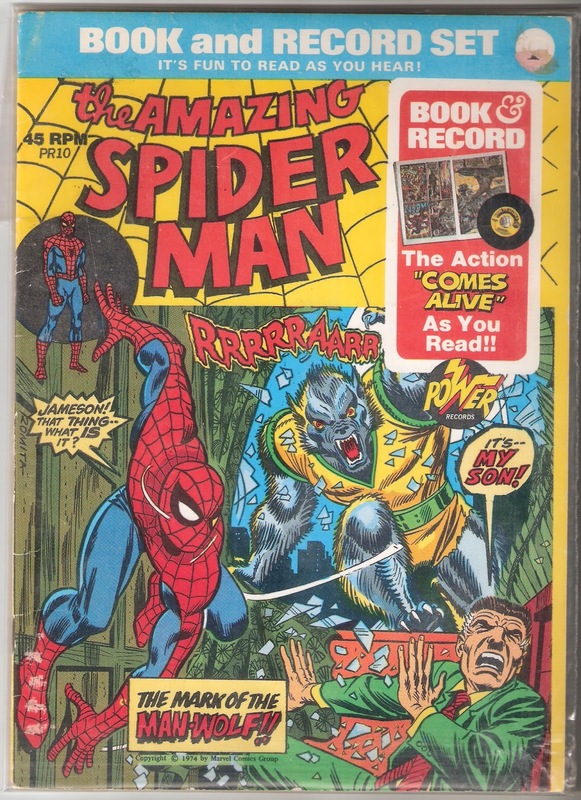 The stress for me is whether or not I have graded the book fairly (I tend to grade too high), if I have set the "Buy It Now" option too high or too low, and whether or not I'll get a fair price if the auction begins with regular bidding. Karen: Doug's current situation has me recalling the two previous times in my life when I sold comics: during my last year of college and again about ten years ago. Both times, I was selling off mostly books from the 50s and 60s that I had inherited from my uncle, so perhaps the sentimental aspect had not been fully present. 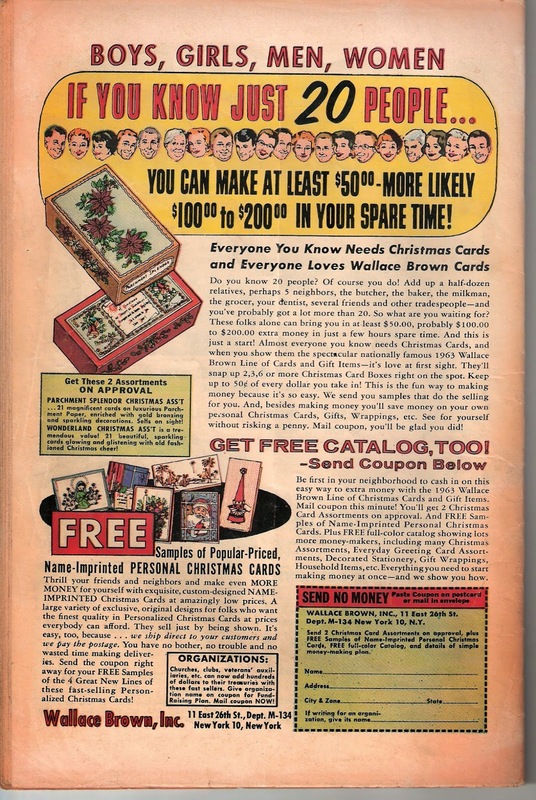 But dear lord, I think now about some of the books I sold off -I had a copy of Brave and Bold #1, Batman #100, Tales To Astonish #27....the list goes on and on. I wonder sometimes what I could get for those books now as opposed to 25 years ago? Or even 10? But is there ever a perfect time to sell? And eBay- well, it has its pluses and minuses. Obviously, a seller can reach many more people via the internet. 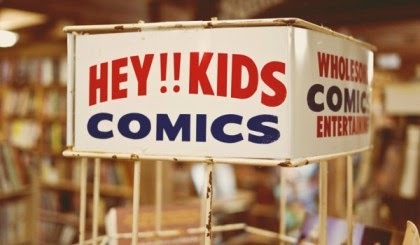 When I first sold books, I did it through the Comics Buyers Guide, the fan precursor to the internet. I did manage to sell quite a few books that way, but I'm sure I had a very limited market. On the other hand, the fees with eBay can be a drag. Still, as I have said in private to Doug, I think it's preferable to sell to individuals than to dealers. I've tried selling to dealers, big and small, several times and each time I've declined to go through with it because they were offering me basically pennies on the dollar for my books. Karen: I feel for my partner. It's not an easy thing, letting go of ones' collection. On one hand, I would like to liberate myself of the dozens of boxes of comics that I feel weigh me down, almost like the chains that hung from Marley's ghost. But when I start thinking about where to make the cuts, it's not so easy. Part of the problem for me is that most of the reprints in the trades don't include letters pages. 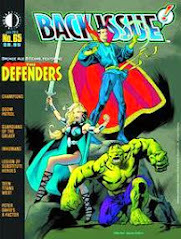 That might sound silly, but the letters pages frequently have useful tidbits and background info that I have drawn on when writing articles for Back Issue, and besides, I just find the letters pages, and the old Marvel Bullpen Page, a lot of fun to read. Now I do have the DVD ROM version of many of the major titles, so that's not a problem -as long as I can access that format. But with some of the lesser-known titles, that's not an option. 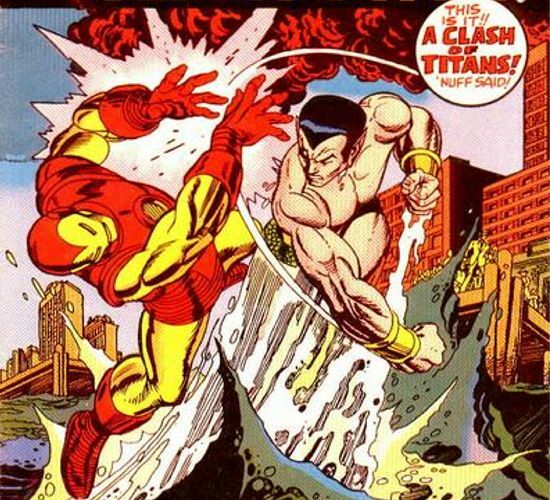 Thankfully Marvel has been releasing more and more 70s books in TPB and Masterworks format. I guess I can live without the letters pages if I had to... still, there's nothing like holding the original comic in your hands, is there? Doug: Hi, friends -- back again with another installment of the do-it-yourself Blue Ribbon Digest. Previously we've given you the assignment of choosing 7-8 issues of the Avengers or the X-Men to stuff inside one of these handy little trade paperbacks. Our only requirement was that the stories fall in between the years 1970 and 1985. In those two posts, some of our readers chose complete or near-complete storylines, while others did more of a scattershot approach. And even within that latter strategy, our readers went with a sampling of artists, or of villains. Today we repeat the drill, but focusing on the Sentinel of Liberty. 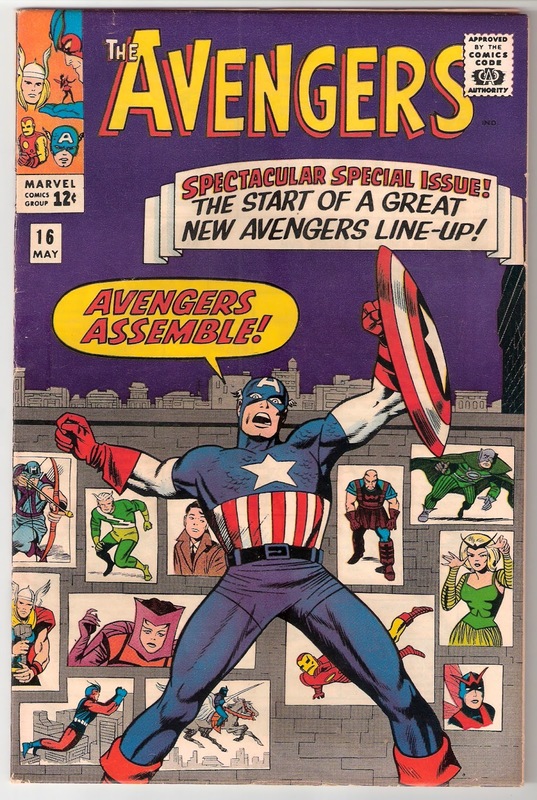 Doug: I was not a regular reader of Cap's mag in the Bronze Age, even though he was one of my favorite characters. I really enjoyed him in the Avengers at the time, but have had a pleasure catching up on some of his solo adventures in the past many years. I had friends who had some Captain Americas, so I was somewhat aware of the "Secret Empire" and "Nomad" arcs. A particular favorite cover of mine featured the Golden Archer getting a drop on Cap. Of course, those of you who know the issue of which I speak (if not, I decided to use it as my sample issue, below) will fondly recall the climax with one of the best rubber mask reveals of all time. I keep telling Karen that whenever we ride off into the sunset our last post is going to be a compilation of all of our favorite rubber mask scenes! Doug: So by clicking here you can get to the Cap page on the Comic Book Database and scroll down until you find the time period that frames this exercise. From there you'll be able to get to covers, creators, and lists of villains lurking within a given issue. Have a blast -- I know we appreciate hearing everyone's suggestions. 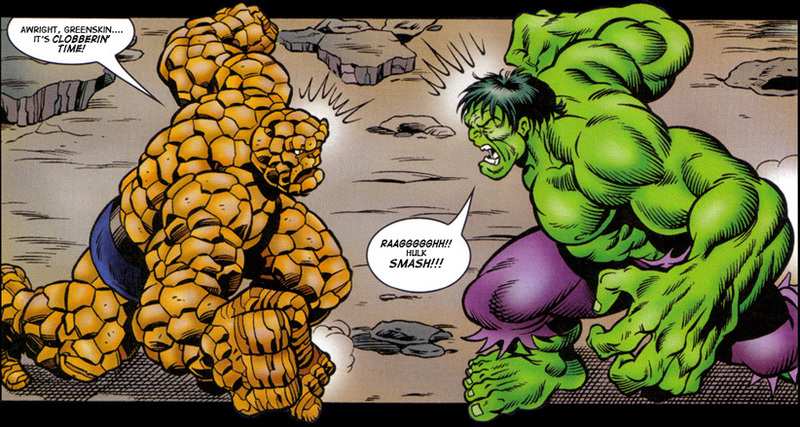 Karen: I have to go with any time the Hulk and the Thing go toe to toe, but there are a lot of other fun match ups too. Labels: Avengers, Who's the Worst? Who's the Best... Marvel Summer Annual?